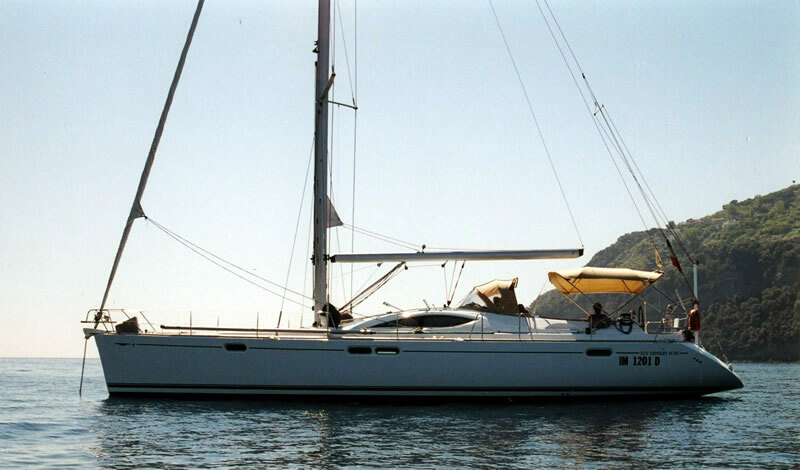 For a sailing holiday without renouncing to luxury, comfort and large spaces, charter the Sun Odyssey 54 DS, a sailboat from elegant lines and great habitability. The Sun Odyssey 54 DS is proposed in three different versions for 4/6/8 guests, for luxury and sports cruises. 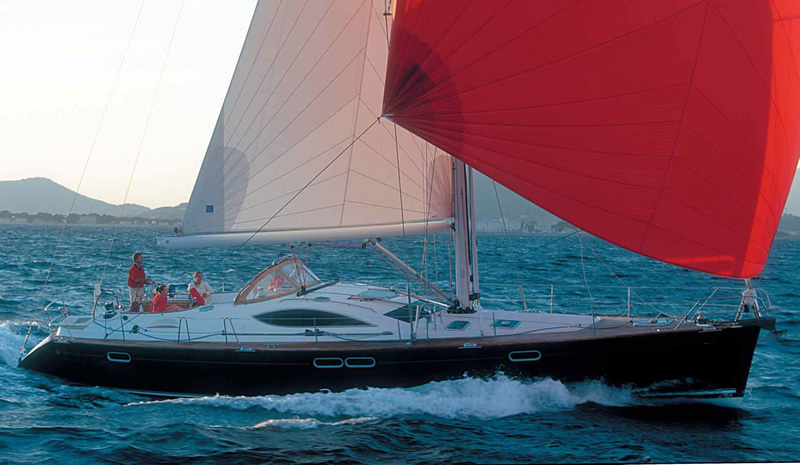 It embarks in the main ports of the south-central Tyrrhenian Sea for weekly sailing tours. 1 or 2 crew members. The hull is elegant harmonious and fast. 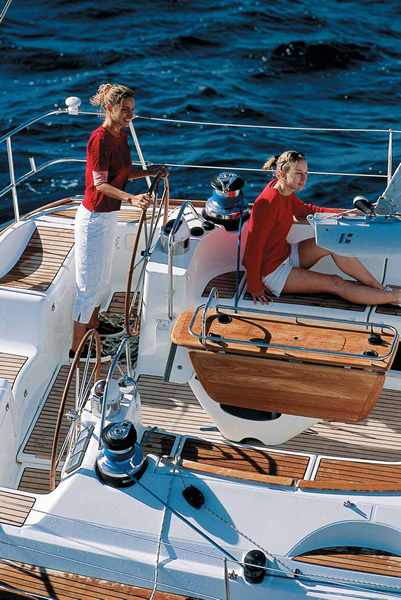 The teak deck is equipped with spacious sundecks and cushions. 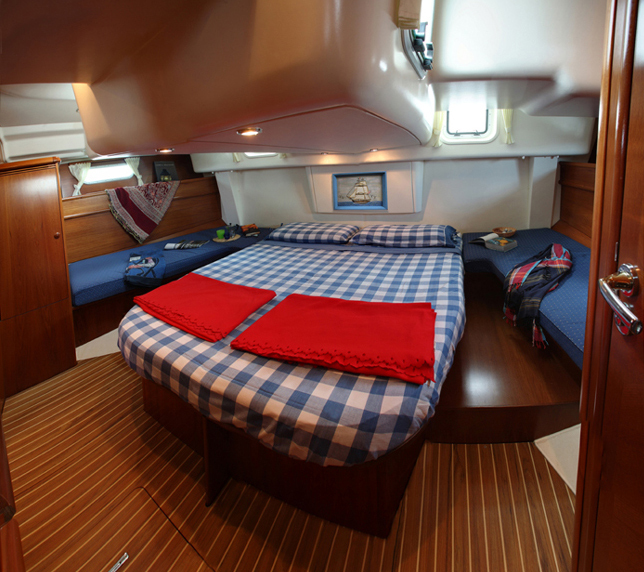 The cockpit is spacious and sheltered by bimini top and spray-hood. The big cockpit table has comfortable seating and can accomodate up to ten persons. 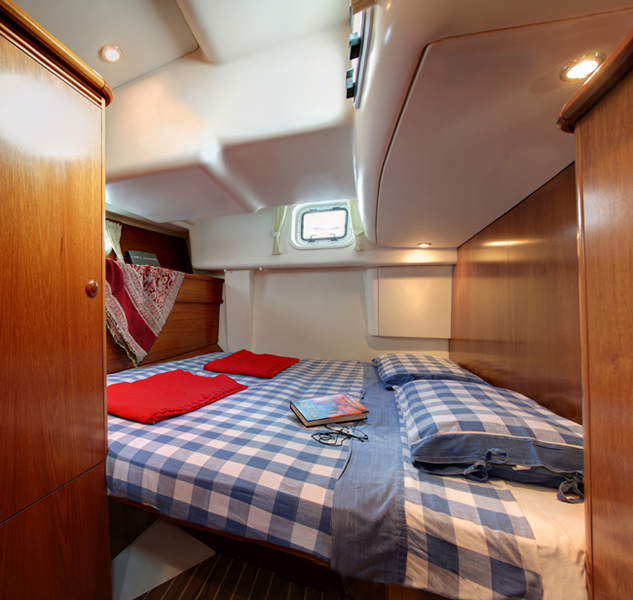 The wide and liveable stern, open on the water, is the perfect trait d’union between man and the sea. 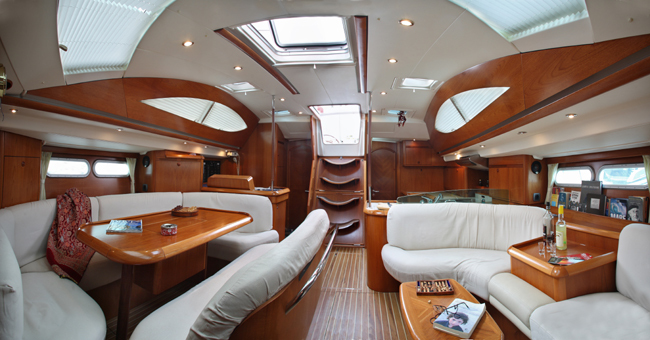 The Deck Saloon provides a lot of light inside and gives unique perspectives. 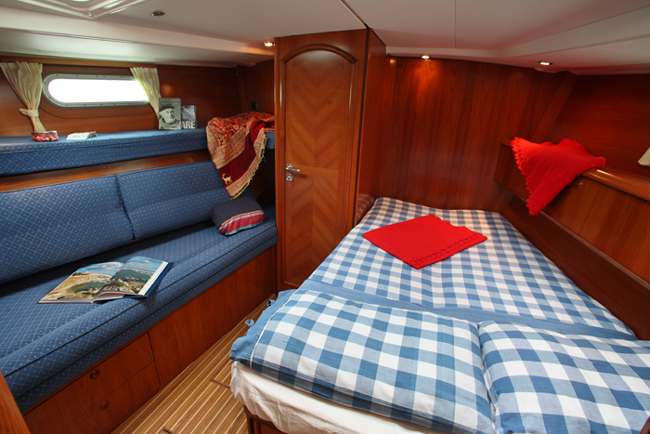 The spaces under deck are carefully finished in solid teak and offer spacious and ventilated cabins. A medium-large boat. With its 17 meters overall, it is ideal whether for short cruises near the coast thanks to the reduced draft, or for ocean cruise due to the solid construction and the high navigation speed.